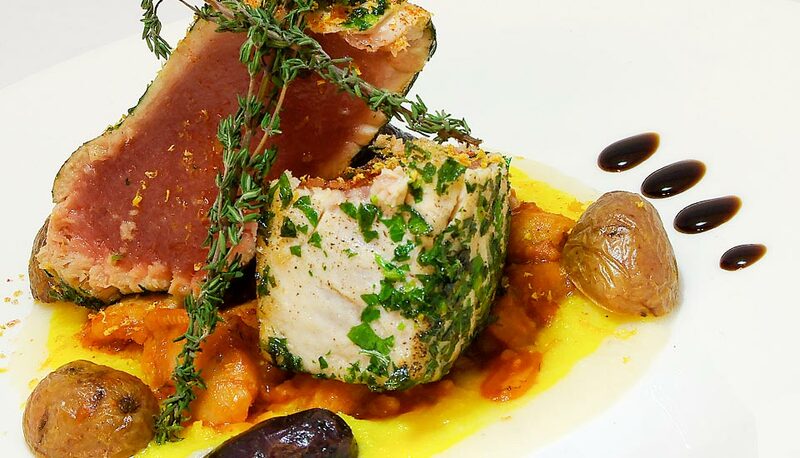 A selection of the freshest fish is flown in daily from the Mediterranean water. Grilled to perfection | Subject to market availability. One pound per person is recommended. Our chef de-bones your fish unless otherwise instructed, but there always are some leftover bones on the fish. Please allow us some time for larger sizes. Grillled tiger shrimp, parsley citrus vinaigrette.